I was on the hunt for something light and airy to throw over shorts, kind of like a cover up or kaftan. I came across this piece in the new collection from Zara Woman. It's in a cool linen fabric, a little transparent but I wore a top and shorts underneath. I wore it with my lace up sandals and my little grey lock bag. 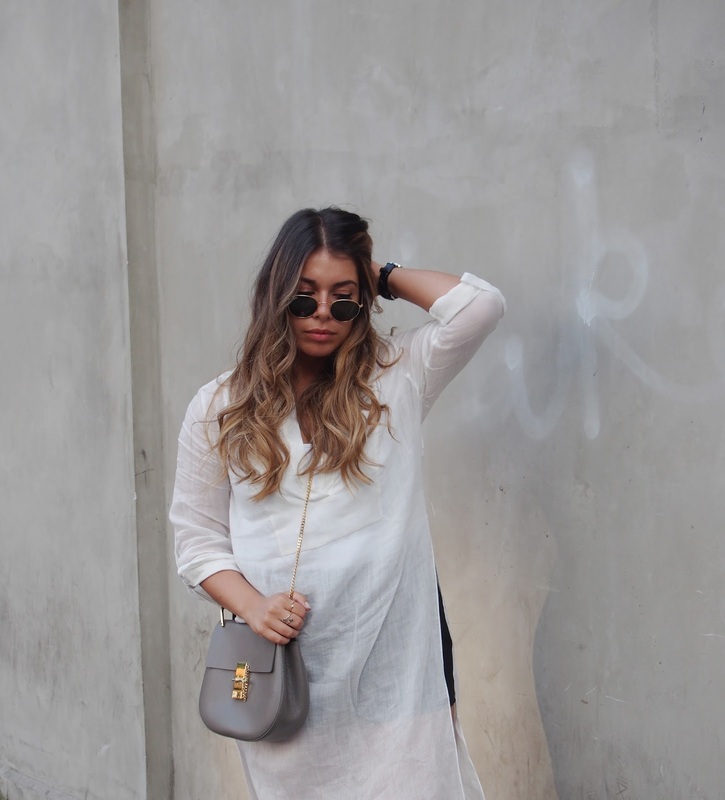 It's the perfect light outfit for a causal day around London and on the sweaty underground. These pictures were taken just after I had my hair lightened, will post more pictures and info on the blog soon!